Chocolate on a low-carb diet – oh yes, you can! 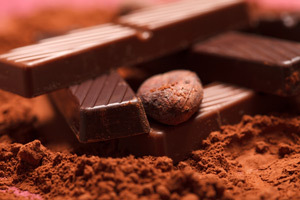 Do you think chocolate is the enemy of your low-carb diet? Do you crave it desperately anyway? You don’t have to suffer. 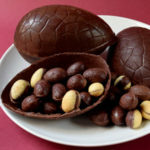 You can enjoy chocolate and stay low-carb. Chocolate itself is not high in carbs. It just gets laden with lots of sugar for mass-market products. If you can avoid the sugar, you can have the chocolate. By getting sugar-free chocolate, sweetened with Stevia, erythritol, or another low-carb sweetener. Or making your own from scratch – it’s actually fun for chocolate lovers! Pure 100% unsweetened cocoa is high in fat, but not that high in carbs – net carb content is between 10-20 net carbs per 100g, depending on the brand. 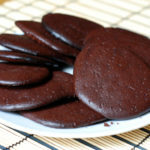 This count is for the most concentrated possible form of chocolate – far too rich and bitter to have on its own. Typically you would mix it in recipes with something else – usually some form of dairy or fat, like fresh cream, cocoa butter or coconut oil. So your net carb count would be diluted further. 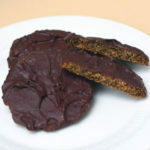 Many low-carb recipes for chocolate-rich treats contain about 3-5g nets carbs per serving. So what exactly is cocoa? Cocoa is extracted from seeds of Theobroma cacao tree. Seeds are roasted and shelled, resulting in cocoa nibs. Nibs are then ground into a paste, which is known as chocolate liquor. It is used as a basis for chocolate products or separated into cocoa butter and cocoa solids. Cocoa is sometimes treated with an alkalising agent (“Dutch-processing”) to give it a milder taste, as natural 100% cocoa is bitter. Dutch processing also strips out most of the antioxidants. 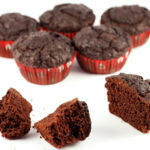 Watch out when using Dutch-processed cocoa in baking – use baking powder rather than baking soda as the leavening agent. You can get unsweetened chocolate either as solid blocks (100% cocoa solids chocolate), or as cocoa powder. 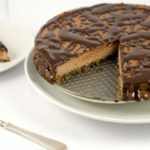 Both can be used in low-carb dessert recipes, or to make your own sugar-free chocolate. For unsweetened chocolate products, opt for premium brands that produce top-quality chocolate with 90-100% cacao solids. The smooth rich taste of real chocolate will make your low-carb desserts truly special. Valrhona is one of the world’s top chocolate brands. Their fantastic pure cocoa powder is great for low-carb recipes and hot chocolate. Ghirardelli is the US division of famous Swiss chocolatiers Lindt & Sprüngli. 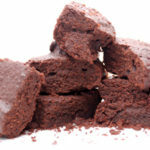 They produce both unsweetened cocoa powder and solid unsweetened chocolate blocks. Cavalier is a traditional Belgian chocolatier, their Stevia dark chocolate is delicious and low in carbs. Paleo – depends on the specific system you are following, some consider cocoa to be too processed to count as a natural food (especially Dutch-processed products). So what can you do with all this cocoa while on a low-carb diet? [i] Taubert D, Roesen R, Schömig E (April 2007). “Effect of cocoa and tea intake on blood pressure: a meta-analysis”. Arch. Intern. Med. 167 (7): 626–34. PMID 17420419. I like the fact that you have clarified the burning issue of whether low carb lovers can still enjoy their favorite cocoa products or not. Food science has made it possible for us to have the unsweetened variety of cocoa products. This fits perfectly into our low car regime. Also well done for providing some recipe examples for using cocoa on a low carb diet. Sugar it should be pointed out is the problem as opposed to the cocoa powder itself. That sounds ok to me, I would just double check the label for the number of carbs, and see if that amount is ok for you current carb limit. Good luck with Atkins! First, I just recently discovered that unsweetened cocoa is pretty harmless on a low carb diet. How did I ever get by without this information? I have a pretty intense sweet tooth and knowing this would have helped me many years ago. Tonight I made peanut butter cups with peanut butter, cocoa, sweetener and butter — and they were delicious. It’s too good to be true. I’ve bookmarked the Keto chocolate mousse recipe. Do you know if cocoa impacts blood sugar? Or how it may affect someone with insulin resistance? This is my first week of consuming any treats with this amazing food, and I’m so anxious to see if it hinders my weight loss. I hope not! Hi Leslie, thank you for your kind words! Glycemic index for unsweetened cocoa is quite low, so hopefully, there won’t be any issues with your blood sugar. It’s also quite intense in taste, so most dessert recipes only require a relatively small amount. 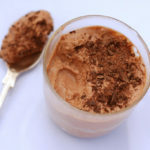 For example, the keto chocolate mousse recipe only needs 1 tbsp of cocoa. Best of luck with your diet! Have we not forgotton to mention a weee detail ? How many carbs in 100g of unsweetened cocoa powder ? Okay it’s varies from one brand to another….. but… what’s the range ? What is unsweetened cocoa powder normally .. carb-wise ? Hi, the whole second section – under heading “Chocolate in itself is not the problem, added sugar is” – talks about the carb content. For unsweetened cocoa, the range is 10-20g net carbs per 100g. In most recipes, you would only need several tbsp of cocoa powder, equivalent to about 3-5g net carbs. I’m from Spain and here all low carb diets have been dragged into the spotlight by the National Board of Nutritionists and Dietitians: they say all low-carb diets are unbalanced and dangerous for your health, accusing their followers of fanaticism and sectarianism. Criticism has been targeted most of all to the Dukan diet, to the point that Paleo and Atkins blogs are also treating dukan dieters as stupid morons that are risking their health to a fad diet. It’s refreshing to read blogs as yours, where Dukan diet is treated as just another option and not as the incarnation of all evil. Hi Maria, I agree with you completely. Lowcarb diets get bad press here in the UK as well. It is usually obvious from the articles that their authors know very little about the subject, they just have a knee-jerk reaction “lowcarb = bad”. Thank you for your comment and I hope you will keep reading my blog. Great, please let us know how it goes. I love that chocolate is actually good for diets! Thanks for posting this info and the recipes! 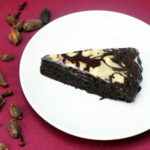 I’m definitely going to try the dark chocolate truffles to top my Atkins-approved cheesecake!